This week we were supposed to be in Asheville, NC. It’s a town we’ve heard tons of awesome things about, and have long wanted to visit. 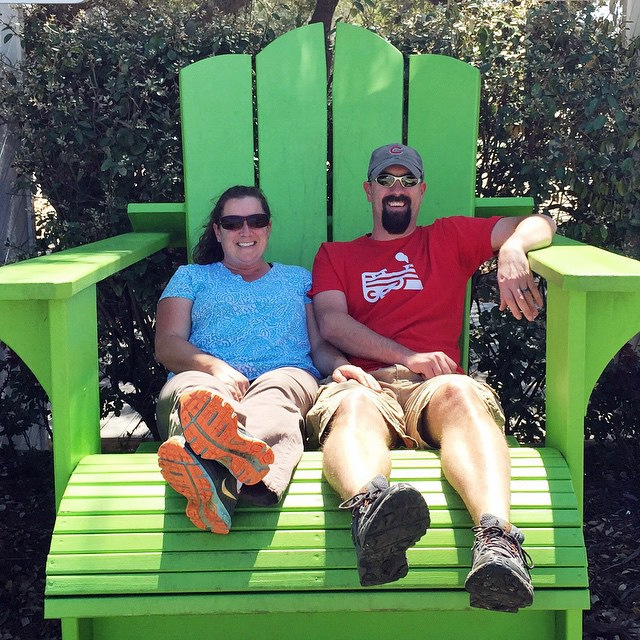 We made reservations at the Lake Powhatan NF campground only 15 minutes from town, and were excited to spend the week hiking and biking around the campground, and enjoying good food and local beer in town. And then we had a change in plans. Instead of heading west we drove four hours north to my mom and stepdad’s house where we’re spending the week parked in their driveway. As much as we love exploring new places, sometimes we need some down time. Time to just sit still with no pressure to go out and do and see all the cool things around us. And sometimes we need to be with people who know us as us – not as Airstreamers, or travel bloggers, or those “Wandering Watsons”, just as our normal boring selves. 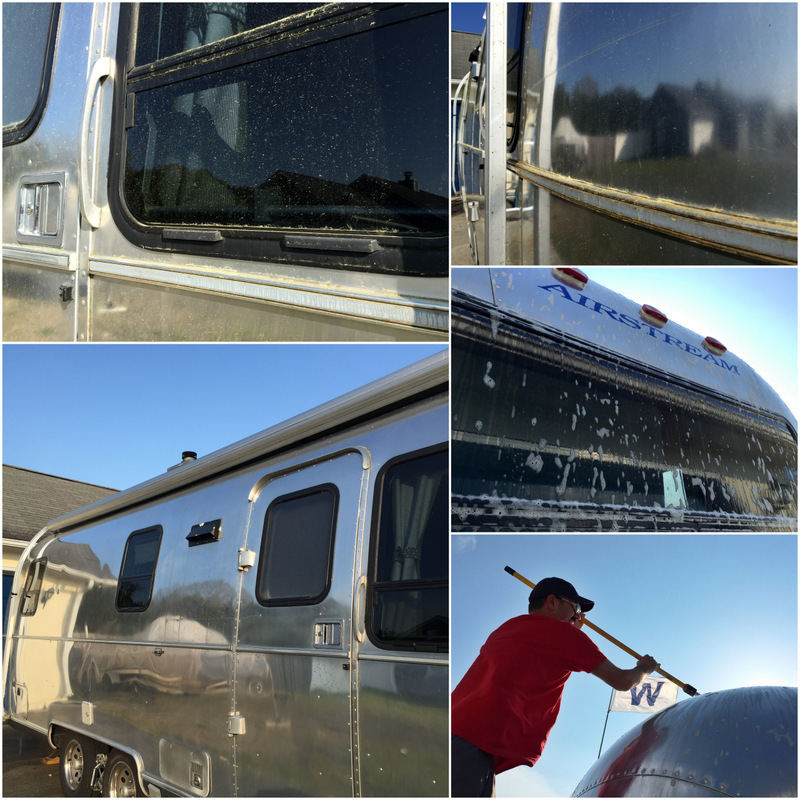 So instead of breweries and biking, we’re doing lots of laundry, and using the dishwasher, and the tall step ladder to scrub the Airstream roof. We’re cooking in the full sized kitchen, taking long hot showers, and lounging in the living room that has more space then our entire RV. Family time also gave us an excuse to celebrate Easter. 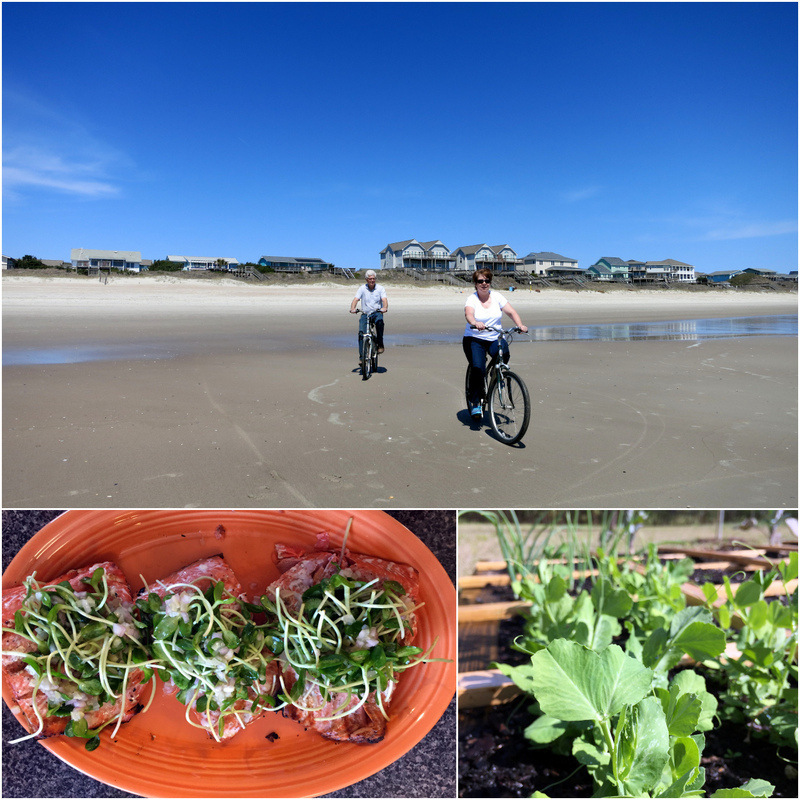 We took a bike ride on the beach, worked in the garden, and feasted on a yummy meal of grilled salmon, asparagus frittata, and fresh herbed potato salad. Before, during, & after washing. So much pollen!!! Unfortunately, we didn’t get quite as much family time as we had hoped since my mom and Charlie had to make a trip down to Florida to help my grandmother move into a nursing home. It was a somewhat sudden move, and at the last minute they decided to drive down and help her through this difficult transition. So Tim and I have been here by ourselves this week. Well…not totally by ourselves. 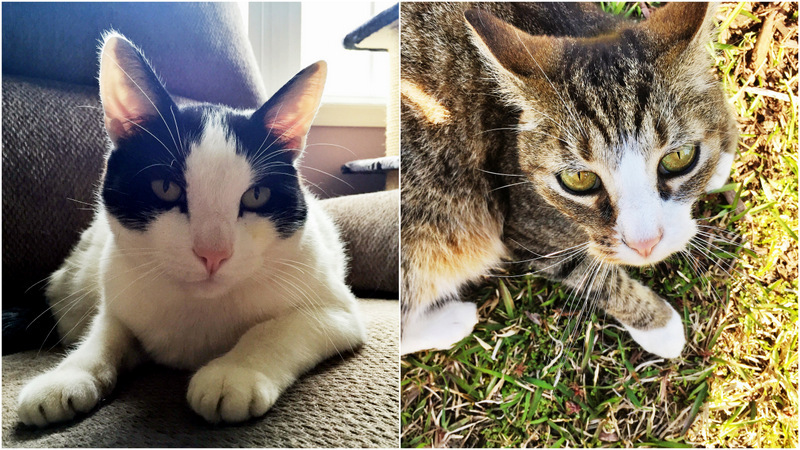 These two crazy cats have been keeping us company. Cats are funny. They like to pretend that there all independent and stuff, but when it comes down to it they like to be pet and feed treats just as much as those needy dogs. These guys are pretty easy to care for with their multiple cat doors and automatic feeder, but every evening they strut into the living room and let out a few loud meows to tell us it’s time for treats. Silly cats. Not much else to report this week. Next week we’re moving inland to Charlotte where Tim will spend some time with the guys he works with and we’ll enjoy some more family visits. Happy Friday everyone! mmmmm…that Salmon looks great! I have never heard of Sunflower shoots before. Interesting. I will have to try them. Asheville is a cool spot indeed, but you gotta leave something to come back for, right? The Sunflower shoots came from Whole Foods. They were delicious, but at $4 for a tiny box I’m not sure they will make a regular appearance in our diet. I bet it would be pretty easy to sprout your own. Yes, we always seem to leave something to come back to. We might try to make it to Asheville in the fall, but if not, we’ll get there someday. We have been sprouting at home. Our favorites for flavor are from sunflower seeds. We started with bulk sunflower seeds from our local coop. Super easy and so delicious. Let me know if you want steps. Easy! I’d love to know more about sprouting Karen. The sunflowers shoots were really tasty! Hi-Mike Z (went to HS with Mike) linked to you on fb. My brother and his wife have been work-campers for about 8 years, so I’ve enjoyed looking over your fb page. About Sprouts, if I may? Google ‘Botanical Interests’ and look for ‘sprouting seed’. They sell a counter-top sprouting unit too. Avail. at independent nurseries and health food stores nationwide. They test all sprouting seed, so it’s clean of pathogens. (bulk seed not tested–be careful). If you ever get to Colorado, they’re near Denver in Broomfield. Neat folks. Thanks Sue! I’ll check out that info. I bet its nice to get to be in a home for a few days after being on the road so long.. Enjoy! 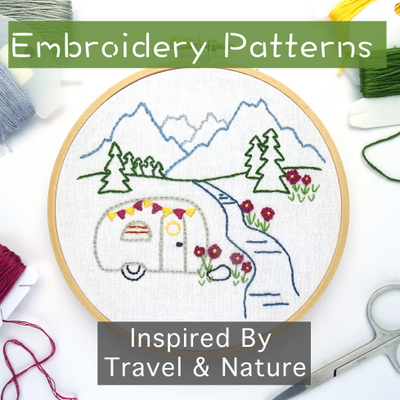 We all need downtime as well as still time to get that mundane stuff done and indulge in some creature comforts that even the biggest RVs don’t offer. Strong, long hot roomy showers are my favorite indulgence. Oh yeah, the showers have been the best. Also, I didn’t realize how much I missed a dishwasher! Looks like there is a little pollen around. Just a little! The day after we washed the Airstream & truck a whole new batch blew in and settled on us. I am headed to N. Carolina in a couple weeks and not sure what we should see and do. We love camping, hiking and biking. Want to end up at Outer Banks but also want to explore the whole state. What other plans do you have while you are in N. Carolina? We will be in Charlotte for a week, then back here, then to the outer banks. I really don’t know much about NC. I actually grew up in VT and my mom has only lived here for a few years. I know that Asheville is known for having lots of great hiking and biking opportunities. It will be our first time in the outer banks and I think I am more excited about the ferry then anything else! Sorry that’s not a more helpful answer. We are traveling NC now. We left Bear8Photo in Asheville and are headed to Salemburg to check out a bluegrass jam with dry camping (all FREE!) on the way to the Outer Banks. We plan on putting our truck/travel trailer on the ferry ($45) at Cedar Point and take us to Ocracoke and island camp a few days. Then, ferry off the north end ($30) to cross over to the main part of OB, working slowly up the East Coast for the summer. Maybe our paths will cross soon? We’re planning to go on the ferry to OBX as well. Will be crossing over this Saturday and spending all of next week there. Let us know if we’re near by! Yikes, you guys have shrunk. Could it be due to a lack of beer? LOL We enjoy our down time and it allows us to get caught up with life. Enjoy that full size kitchen! We did shrink! Although there really hasn’t been a lack of beer :) The kitchen has been great, it’s strange to have so much counter space. Sounds like a good week to me. I’ve always enjoyed puttering around the house stuff, one of the reasons I know we’ll have a house again some day. We too, have been in the land of pollen! I am especially enjoying time in the garden. It’s still early, but they already have peas, spinach, and chard coming up. I have been doing a little weeding and making sure everything gets watered. My vegetable garden is one of the things I miss most about a house. Our problem is that we often don’t have time to do everything, and then we leave an area feeling like we didn’t fully explore it. I am working on letting it go and reminding myself that we can always go back. San Diego would be a very hard place to ignore all the fun stuff. Good luck with all your repairs. Oh yeah, the showers are the best! Sometimes it is nice to just chill. Long, hot showers are always a delight with our lifestyles, aren’t they? Those long showers sure are a luxury – one that I never thought much about when we lived in a house with a giant hot water heater! We are in New Bern and loving the weather. It was getting hot down S. Our USDA Forest CG is Flanners. Must be off the radar..very cute with a beach and the Nuese River Basin. Only 40 sites with half electric. Off to get more seafood Monday. Cannot get enough. Safe travels. Sounds like you are enjoying and I know it has been a while from family and friends. Sounds like a great spot. I’ve heard good things about New Bern. The weather is good around here too. Lots of clouds and rain – but no bugs!! !